Broker-neutral trading systems provider OMEX Systems has made two senior level appointments in New York yesterday, raising the firm’s headcount across the organization to 22. Joining the firm as Head of Sales is Antonio Panos, the former co-founder and sales director for Mixit Systems, Inc., the sell-side equities trading system vendor which first came to market in 2002 and was acquired in 2011 for $20 million by UK-based futures market vendor Patsystems Plc. In addition to Mr. Panos, Matthew Weiss, a 15-year trading technology veteran, has been appointed Head of Client Support for OMEX. Mr. Weiss was most recently VP of Buyside Sales for Blockcross ATS; he previously held senior sales management roles for industry icons Lava Trading (a Citigroup subsidiary), NYSE Group’s Archipelago Holdings and MB Trading. OMEX systems was founded five years ago, and considers the market to be somewhat lacking in truly comprehensive and cost-efficient broker-neutral direct market access (DMA) platforms. The firm has committed itself over the last four years to evolving from a self-described ‘under the radar technology boutique’ to a platform provider which is able to compete with other established technology companies in providing solutions for sell-side and buy-side firms. 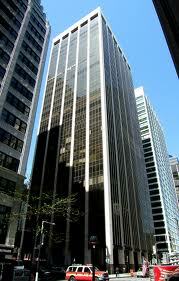 100 Wall Street, New York. The multi-asset OMEX platform is designed for firms that require a full suite of order execution management, risk controls, commission management features, multi-custodian trade allocation and straight-thru processing in one, easily-customized platform; features that are typically only attainable by mashing up disparate software products from multiple, premium-priced vendors. “More importantly, their joining us further ensures that every interaction we have is conducted with the highest degree of knowledge, skill and professionalism” he concluded. Mr. Houlahan himself is an industry veteran of notable experience; his 23 year career spanning across technical leadership positions at HSBC, Capgemini, and SIAC.